Major depressive disorder (MDD) is a chronic and potentially life threatening illness that carries a staggering global burden. Characterized by depressed mood, MDD is often difficult to diagnose and treat owing to heterogeneity of syndrome and complex etiology. Contemporary antidepressant treatments are based on improved monoamine-based formulations from serendipitous discoveries made > 60 years ago. Novel antidepressant treatments are necessary, as roughly half of patients using available antidepressants do not see long-term remission of depressive symptoms. Current development of treatment options focuses on generating efficacious antidepressants, identifying depression-related neural substrates, and better understanding the pathophysiological mechanisms of depression. Recent insight into the brain’s mesocorticolimbic circuitry from animal models of depression underscores the importance of ionic mechanisms in neuronal homeostasis and dysregulation, and substantial evidence highlights a potential role for ion channels in mediating depression-related excitability changes. In particular, hyperpolarization-activated cyclic nucleotide-gated (HCN) channels are essential regulators of neuronal excitability. In this review, we describe seminal research on HCN channels in the prefrontal cortex and hippocampus in stress and depression-related behaviors, and highlight substantial evidence within the ventral tegmental area supporting the development of novel therapeutics targeting HCN channels in MDD. We argue that methods targeting the activity of reward-related brain areas have significant potential as superior treatments for depression. The online version of this article (doi: 10.1007/s13311-017-0538-7) contains supplementary material, which is available to authorized users. Depression is a highly debilitating mental disorder with a heavy societal burden. The lifetime prevalence of major depressive disorder (MDD) is > 16% and the recurrence of depression episodes within 2 to 5 years is > 40% [1, 2, 3]. According to the Diagnostic and Statistical Manual, 5th Edition, MDD diagnosis is justified when a patient displays at least 5 of 9 possible criteria: chronic symptoms of depressed or irritable mood, anhedonia, weight change, sleep disruptions, psychomotor dysfunction, fatigue, feelings of worthlessness or guilt, diminished ability to concentrate, and recurrent suicidal ideation . Core symptoms of depression include depressed mood and anhedonia. Heterogeneity of symptoms in patients meeting criteria for clinical depression has resulted in multiple studies of differential treatments for patients with varying MDD symptoms and severity, spanning efficacy of antidepressant combinations with or without adjunctive psychotherapy . To date, pharmacological treatments for depression encompass first-generation antidepressants, including tricyclic antidepressants and monoamine oxidase inhibitors, and second-generation advances comprising selective serotonin reuptake inhibitors, serotonin-norepinephrine reuptake inhibitors, atypical antidepressants, and serotonin modulators. While first-generation antidepressants have mostly fallen out of favor owing to their adverse side effects, second-generation antidepressants are believed to have the same general efficacy . These antidepressant medications all act to increase some or all of the monoamine neurotransmitters . Currently, selective serotonin reuptake inhibitors such as fluoxetine are the most widely prescribed class of antidepressants . A limitation of these antidepressant treatments is the delay of several weeks between treatment initiation and improvement of depressive symptoms . Another major issue in current depression treatment is improving therapeutic options for resistant or refractory depression, a chronic condition resulting from a lack of satisfactory response to antidepressant therapies . Approximately 20% to 30% of patients are resistant to treatment . This patient population, in particular, highlights the pressing need for better therapeutics to combat the recurrent suffering and rising global burden of the disease. Complexities in understanding both the pathophysiology of MDD and mechanisms of antidepressant efficacy have slowed the pipeline of new therapeutics, despite many important discoveries. Historically, the catecholamine hypothesis of depression served as the basis for development of antidepressant treatments. This hypothesis posits that decreased levels of the catecholamines serotonin, norepinephrine, and dopamine (DA) contribute to the pathophysiology of depression . While antidepressants reverse this monoamine deficit within hours, their delayed behavioral action suggests downstream changes, including signaling cascades, gene changes (epigenetic, transcriptional, and translational plasticity), neurogenesis, synaptic remodeling, and altered neurotransmission [11, 12, 13, 14, 15, 16, 17, 18]. Chronic neurotransmitter administration appears to induce plasticity mechanisms, ultimately leading to antidepressant action. 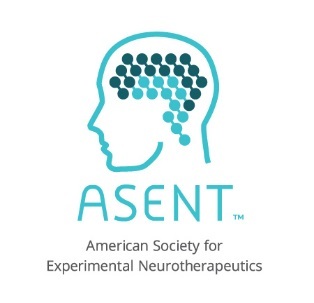 Recent clinical studies have identified rapidly acting, glutamate/acetylcholine-targeting antidepressant compounds (ketamine, scopolamine), which alleviate symptoms of treatment-resistant depression and lower the risk of suicidal ideation in patients with MDD. These novel glutamatergic approaches have expanded our understanding of effective treatment strategies and raised the possibility of more direct pharmacological targets [11, 19, 20, 21, 22, 23, 24, 25, 26, 27]. In addition to elucidating mechanisms of antidepressant action, it is also important to investigate the neurobiology of depression and depression symptoms. While the complete etiology of depression is unknown, genetic and environmental stress factors have been shown to contribute to MDD onset. Notably, prolonged stress is thought to catalyze the onset and/or recurrence of depression . Research into the neurobiology of stress has helped inform better animal models of depression for testing antidepressant efficacy and probing brain structures involved in MDD. Preclinical models of depression, particularly in mice, have vastly improved the ability to study mechanisms of antidepressant action, as well as identify potential targets for antidepressant treatment. Historically, antidepressants were tested for efficacy using the measure of acute antidepressant response to behavioral despair, or an animal’s active or passive response to a stressor, via the forced swim test or tail suspension test [29, 30, 31, 32]. However, most recent preclinical studies assay additional measures of depressive-like behaviors, including anhedonia, social interaction, anxiety, memory dysfunction, and homeostatic symptoms in rodent models of depression. Furthermore, genetically derived lines of “depressed” animals have been selectively bred to model and test particular depressive behavioral phenotypes [33, 34]. Current animal models of stress-induced depression have employed chronic social stress or chronic unpredictable mild stressors to produce a constellation of depression symptoms . These paradigms for the generation of depressive-like behaviors in animals are designed to ethologically recapitulate the environmental stressors that can exacerbate a vulnerability to depression in humans. Chronic unpredictable/variable mild stress utilizes the inflexibility of animals to respond to a randomized variety of mild stressors, including tail suspension, restraint, and foot shock over weeks to months. Both female and male animals that have undergone chronic mild stress will exhibit profound anhedonia, fear, and anxiety behaviors that can be reversed by chronic but not acute antidepressant administration, suggesting an appropriate model for analyzing antidepressant plasticity mechanisms [36, 37, 38]. Chronic social defeat stress (CSDS) also requires repeated antidepressant administration for behavioral rescue. The ethological modeling of depression in CSDS results from a robust chronic social stressor that utilizes both the physical and psychological stress of social subordination . Using retired CD-1 breeder mice that are screened for aggressive territorial behavior, smaller genetically identical C57BL/6 mice are introduced to the home cage of the CD-1 for a short physical interaction. Following social subordination, the C57BL/6 mice are further socially stressed with overnight psychosensory exposure, as they are separated from the CD-1 by a clear, perforated barrier for the remaining 24 h. This procedure is repeated for 10 days with a different CD-1 every day, producing profound and lasting anhedonia and social avoidance, in addition to abnormalities in circadian rhythm, metabolism, and hypothalamic–pituitary–adrenal axis response [39, 40]. Interestingly, a subset of mice that undergo this stress resemble control animals in their reward processing, allowing researchers to parse animals that are “susceptible” from animals that are “resilient” to social defeat stress to investigate the mechanisms of susceptibility and resilience to depression [40, 41, 42, 43, 44, 45, 46, 47, 48, 49, 50]. In addition to preclinical studies in animal models of depression, clinical investigations probing target brain regions of antidepressant action, brain activity in depressed patients, and the efficacy of deep brain stimulation have highlighted mesocorticolimbic circuitry as the general neural substrate for depression-related behaviors and antidepressant efficacy [11, 40, 41, 42, 43, 46, 47, 51, 52, 53, 54, 55, 56, 57, 58, 59, 60]. This neural circuit encodes reward-related behaviors and encompasses projections between brain areas including the prefrontal cortex (PFC), hippocampus, ventral tegmental area (VTA), amygdala, and nucleus accumbens (NAc). Mesocorticolimbic circuit dysfunction has been implicated in a range of psychiatric disorders, including MDD. Indeed, depressed patients exhibit increased activity in limbic regions and decreased connectivity between corticolimbic regions [61, 62]. Imbalances in activity of these brain areas may result from both extrinsic factors (changes in signaling between brain areas) and intrinsic factors (changes in neuronal excitability). Thus, dysfunctional brain activity and depression pathology may be due to changes in excitability to maintain homeostasis . Hyperpolarization-activated cyclic nucleotide-gated (HCN) channels are key regulators of neuronal excitability [64, 65, 66]. As we will describe in this review, HCN channels have been implicated in a number of stress and depression-related behaviors, and our evolving understanding of the role of HCN channels in multiple brain areas suggests that these channels are promising targets for future therapeutics. Neuronal signaling within a region and at a circuit level is affected by properties of neuronal excitability and ion-channel distribution. Ion-channel dysfunction can lead to unbalanced excitability and subsequent neuronal dysfunction. HCN channels are present throughout the brain, and modulate neuronal excitability and activity . HCN channels are known to regulate cell activity via the hyperpolarization-activated current, Ih (also known as h current), consisting of sodium and potassium cations . HCN channels are activated by hyperpolarized states greater than –40 mV, increase their activation as the cell becomes more hyperpolarized, and do not display inactivation . Since HCN channels are open at hyperpolarized states greater than –40 mV, Ih currents are often present during the resting state . This allows HCN channels to modulate neuronal excitability by stabilizing the neuronal membrane potential against both excitatory and inhibitory inputs. HCN channels consist of 4 subtypes, HCN 1–4, that can assemble in various combinations and conformations. HCN channels can be modulated by cyclic nucleotide cyclic adenosine 3’,5’-monophosphate (cAMP) or protein kinase-mediated phosphorylation of the channel subunits . HCN channels are expressed in the brain, heart, and retina [69, 70]. HCN1 appears to be the most common isoform present in the hippocampus, neocortex, and cerebellar cortex. HCN2 expression is predominant in the midbrain and thalamus, while HCN4 is the predominant isoform in the heart, thalamic nuclei, basal ganglia, and olfactory bulb [64, 71]. Ih currents in the central nervous system serve to mediate membrane properties of particular cells, including resting membrane potential, firing frequency, synaptic transmission, and synaptic input integration [72, 73, 74, 75, 76, 77, 78, 79]. This allows HCN channels to influence the rhythmicity of neuronal networks, and to control the integration of cell signaling and firing activity. HCN channels play other important roles; besides setting pacemaker firing for the heart rhythm, HCN channels help regulate oscillatory networks, including sleep and arousal . Importantly, Ih and HCN channels influence neural activity and excitability by affecting synaptic integration and plasticity [67, 81, 82, 83, 84, 85, 86]. This has a profound impact on learning, memory, and encoding of behaviors. Genetic studies of HCN channels in depressed patients have not yet conclusively identified a strong association between single-nucleotide polymorphisms in HCN channel genes with depression and stress sensitivity [87, 88]. However, the generation of transgenic HCN channel null animals has allowed researchers to probe the behavioral outcomes of dysregulated neuronal activity from HCN signaling ablation. Since HCN channel variations are present throughout the peripheral nervous system , including in cardiomyocytes , researchers have developed animal models with a selective knockout of HCN1, HCN2, or tetratricopeptide repeat-containing Rab8b interacting protein (TRIP8b) for exclusive expression in the brain. TRIP8b is a brain-specific protein encoded by the Pex51 gene that is involved in HCN trafficking and appearance at dendrites [91, 92, 93, 94]. When TRIP8b expression is eliminated, Ih currents are attenuated. Since HCN channels are important for vital functions outside of the brain, targeting the TRIP8b is another method to test HCN function exclusively in the brain. The involvement of HCN channels in depression behaviors was first investigated using these 3 knockout lines. While anxiety-like behaviors, as tested by the elevated plus maze and dark/light boxes, were not ameliorated in global HCN knockout lines, mice with reduced Ih as a consequence of null HCN1, HCN2, and TRIP8b all displayed reduced behavioral despair . In all 3 HCN channel knockout lines, Ih dysfunction was shown to be involved in depression behaviors as demonstrated by behavioral reductions in time spent immobile and latency to immobility in forced swim and tail suspension tests . These findings highlight the importance of parsing the roles of HCN channel subtypes in reward circuitry, in order to determine the contribution of Ih to discrete brain regions and control of particular affective behaviors. Importantly, HCN channels are expressed in brain areas involved in reward, including the PFC, hippocampus, and VTA [69, 70]. While a number of depression studies have delineated the potential mechanism of HCN channel action in the hippocampus and PFC, recent work in the VTA has also clarified an important role for HCN channels in depression (Fig. 1). Chronic stress has been shown to weaken hippocampal connections . Beyond the preclinical wealth of research implicating the hippocampus in depression behaviors , positron emission tomography imaging studies have shown that chronic antidepressants induce changes in the hippocampus, as observed by regional glucose metabolism [52, 97, 98, 99], and patients with severe depression show reduced posterior hippocampal volume . Consequently, the role of HCN channels in mediating depression behaviors within the hippocampus is of particular interest. HCN channels have been heavily studied in the CA1 region of the hippocampus, and decreases in excitability in the hippocampus are correlated with increases in Ih current . Ih currents appear to modulate neuronal excitability, independent of synaptic plasticity changes mediated by N-methyl-D-aspartate (NMDA) receptor-dependent changes in excitability . HCN channels are highly expressed along the distal dendrites of pyramidal neurons in the CA1 region where they serve to modulate network excitability for integrating incoming signals, normalizing temporal summation, and mediating the propagation of information by dampening Ca2+ signaling [102, 103, 104]. In particular, HCN channel density increases directly with distance from the soma to the distal apical dendrites in the hippocampal CA1 region . Moreover, HCN channels are integral for mediating the theta rhythmic properties of the hippocampus, through involvement of the intrinsic resonance properties [105, 106, 107]. Thus, the ability of HCN channels to regulate intrinsic cellular excitability may represent a global homeostatic regulation of activity that prevents hyperexcitability by a negative-feedback mechanism . To investigate the potential antidepressant role of HCN channels exclusively in the hippocampus, Kim et al. utilized lentiviral short hairpin RNA (shRNA) to target the expression of HCN1 channels in the dorsal CA1 region of rats. Following knockdown of HCN1 channel proteins within this region, pyramidal neurons exhibited expected alterations in intrinsic membrane properties, including more hyperpolarized resting membrane potentials, higher input resistance, and slower membrane time constant. Pyramidal neurons also exhibited increased cellular excitability, which extended to a widespread increase of hippocampal activity. HCN1 channel knockdown produced anxiolytic effects in the open-field test and the elevated plus maze; animals spent significantly more time in both the center of the open-field box and the open arm of the elevated plus maze. HCN1 knockdown was also antidepressant: compared with control animals, HCN1 shRNA-injected rats displayed less passive activity in the forced swim test, behaving similarly to rats injected with fluoxetine or ketamine . TRIP8b knockout mice show the same antidepressant-like reduction in time spent immobile in the forced swim test and tail suspension test. Behavioral modifications stemming from hippocampal HCN channel activity reduction can be bidirectionally modulated through manipulation of the brain-specific auxillary subunit TRIP8b . Restoration of TRIP8b through injection of TRIP8b-overexpressing adenoassociated viral vectors into the CA1 region of TRIP8b knockout mice rescues Ih current in CA1 pyramidal neurons. This hippocampal Ih current recovery prevents rescue of the behavioral despair observed in all global HCN knockout lines (HCN1, HCN2, TRIP8b), underscoring the importance of the hippocampus in mediating depression behaviors. In both the forced swim and tail suspension tests, Han et al. found that the reduction in time spent immobile of TRIP8b knockout mice was absent in TRIP8b knockout mice expressing TRIP8b-adenoassociated viral vector in the CA1 region of the hippocampus. Thus, by rescuing HCN channel expression in CA1, the antidepressant effects of HCN knockdown were ablated. These results highlight the importance of investigating region-specific actions of depression; global and hippocampal-specific knockdown of HCN channels produce antidepressant behaviors, but anxiolytic effects are observed only with hippocampal-specific ablation of Ih channels. HCN channels also influence excitability in the PFC . PFC HCN channels have important implications for stress-induced psychiatric disorders, as evidenced by the role Ih currents play in strengthening PFC recurrent connections and the consequences of HCN channel dysfunction in PFC. Chronic stress is extensively damaging to the cognitive center of the brain, affecting working memory, regulation of information processing, and error computation [111, 112]. Working memory is critically regulated by the catecholamines norepinephrine and DA, which activate α2A adrenoceptors, DA D1 receptors (D1Rs), and cAMP signaling in PFC. Chronic stress induces both high levels of norepinephrine-α2A activity and a disrupted balance of DA-D1R activity that together disturb recurrent PFC network activity and induce cognitive dysfunction in working memory [113, 114, 115, 116, 117, 118]. The intrinsic mechanisms underlying working memory impairment involve excessive cAMP production, which targets HCN channels [68, 113]. Ih currents vulnerable to cAMP modulation are heteromers of HCN1 and HCN2 subunits [69, 119, 120] and are most highly expressed in cortical layers with a high concentration of α2A adrenoceptors [69, 113, 121, 122, 123]. Within the PFC, HCN channels are also co-localized with D1Rs on dendritic spines . Increased cAMP is associated with increased conductance of Ih current and increased opening of HCN channels . HCN channels are found on the distal apical dendrites of layer V and on the dendritic spines of deep layer III pyramidal cells in PFC [113, 114]. Since HCN channels are largely localized to dendrites, Ih currents serve to regulate synaptic inputs. Specifically, the dendritic Ih may serve as an electrotonic shunt to limit the spread of excitatory action potentials. HCN channel activity disruption results in increased recurrent network interactions, as measured by both intracellular and extracellular multiple unit recordings in layer V pyramidal cell slices . The effects of Ih current reduction can be tested with ZD7288, an HCN blocker. Blockade of HCN channels by ZD7288 also increases functionally connected firing activity. This suggests that HCN channels play a role in PFC network firing properties. Furthermore, HCN channel blockade by ZD7288 produces working memory improvements. Prior to high DA D1R stimulation, the working memory dysfunction induced by the D1R agonist SKF38393 can be prevented with ZD7288, likely through a cAMP–protein kinase A phosphorylation mechanism [115, 124]. Working memory perturbations can be investigated in animals using shRNA to knock down HCN1 channels or with ZD7288 to block HCN channels. Rats that received HCN1 channel knockdown or blockade demonstrated improved spatial working memory, as tested through T-maze memory performance . Thus, increasing cAMP signaling suppresses prefrontal firing via opened HCN channels on dendrites of pyramidal neurons, either through α2A adrenoceptors or D1Rs. This suggests that HCN channels are well positioned to regulate PFC network dynamics by gating neuronal firing from cortico–cortico connections to influence the strength of the prefrontal microcircuit and output efficacy. When chronic stress and consequent HCN channel dysfunction desynchronize cortical networks, the “top-down” control of other brain areas is disinhibited. This may affect prefrontal control over behavior, emotion, and cognition. While chronic cAMP is necessary for the synaptic plasticity observed in long term potentiation of hippocampal cells, cAMP typically plays a transient role in working memory signaling; high levels of cAMP from dysregulated α2A adrenoceptor or D1R-mediated signaling after chronic stress can lead to lowered PFC strength from open HCN channels [113, 115, 118]. This results in disrupted PFC network connectivity, weakened network connections, and reduced control of other brain areas, including the amygdala and striatum [111, 112]. During stress, reduced and unpatterned PFC networks will project an incorrect representation of working memory and may incidentally disinhibit affective and stress pathways in the brain. Chronic stress may strengthen the activity of limbic circuitry, including that of the amygdala and striatum [125, 126, 127]. This positive feedback loop may be reinforced by disinhibition of the PFC on limbic pathways. Stress increases VTA DA activity and release in target regions [126, 128, 129]. HCN channels reduce the excitability of the PFC and hippocampus. Within the VTA, Ih currents may also serve to modulate neuronal excitability. HCN channels appear on the dendrites of VTA DA neurons , and regulate the amplitude and duration of the afterhyperpolarization observed after an action potential [75, 76, 131, 132]. While HCN1 is the main channel subunit within the PFC and hippocampus, HCN 2–4 channels are most expressed in midbrain DA neurons . While HCN2 appears to be the most abundantly expressed channel subunit, all HCN subunits are expressed within the VTA [64, 69]. We have observed an increase in activity of the VTA and reward neurocircuitry following chronic stress; in particular, HCN channels appear to play a role in reward dysfunction and depression in VTA DA neurons. Midbrain VTA DA neurons exhibit 2 types of firing activity: single-spike “tonic” firing or “phasic” short multispike burst firing, which are believed to maintain basal levels of DA in the extracellular space and signal reward or aversion through a transient increase of DA, respectively [134, 135, 136, 137, 138]. Pathologically, DA neuron-firing activity in response to acute and chronic stress can be incredibly complicated [42, 118, 139]. DA neurons are identified in vivo by a slow firing rate of 2 to 10 Hz, duration of unfiltered biphasic action potential waveform > 2.2 ms, and sensitivity to DA or DA receptor agonists . Classically, in vitro VTA or substantia nigra DA neurons have been identified by a large Ih current [76, 141], but more recent research has conclusively shown that this criterion is insufficient [131, 142]. These researchers and others have highlighted the heterogeneity of VTA DA neuron characterization . VTA DA neurons are functionally heterogeneous, and HCN channel expression within the VTA subpopulations of VTA DA projection neurons is variable. VTA DA neurons that project to the NAc exhibit a large, pronounced Ih current, while VTA DA neurons that project to the PFC have a small Ih current [43, 76, 131, 144]. The previously standard identification of DA neurons by the Ih current underlies its importance in the physiological firing activity of most VTA DA neurons and possible involvement in pathological perturbations. In the CSDS model of depression, we have observed a similar phenomenon of VTA Ih current induction and VTA DA neuron hyperactivity that mediates behavioral susceptibility to CSDS . Since Ih currents are implicated in the excitatory drive of VTA DA neurons, we investigated the Ih current as a pathological mechanism underlying VTA DA hyperactivity [40, 41, 42, 43, 76, 132]. We found that CSDS increased the Ih current in susceptible animals, and that HCN channels play a role in the pathophysiological increase in firing rate characteristic of susceptibility . VTA microinfusion of Ih inhibitors ZD7288 or DK-AH 269 rescued social avoidance in susceptible animals . Moreover, following chronic administration of the antidepressant fluoxetine, susceptible animals exhibited a rescue of social avoidance behavior, as well as a return of Ih current to baseline levels . These findings suggest that Ih current inhibition is a potential target for antidepressant treatment and expand upon prior findings in the PFC and hippocampus. Unexpectedly, further investigation of the resilient subpopulation of defeated animals revealed a more complex mechanism of Ih current mediation of depression-like behaviors (Fig. 2). We found that resilience involves a dynamic induction of homeostatic plasticity that maintains adaptive behavioral responses to stress. Resilient animals exhibited VTA DA firing activity that resembled that of control animals, despite undergoing strenuous social stress [40, 41, 42, 43]. We therefore expected the Ih current in resilient animals to be similar to that of control animals. Instead, recordings of the VTA DA Ih current of resilient animals revealed an Ih current larger than that of susceptible mice . Further investigations into the excitability of VTA DA neurons following CSDS revealed intrinsic changes in both susceptible and resilient mice; the decreased excitability of resilient animals compared with control mice corresponded with the increased potassium current observed in the VTA DA of resilient mice [43, 46]. These findings suggest that social defeat stress induces an increased Ih current in resilient animals that may trigger an active, “self-tuning” mechanism that restores firing rate to control animal levels. In order to probe the functional role of VTA DA Ih currents in susceptible and resilient behaviors, Friedman et al. [43, 82, 145, 146] utilized multiple techniques, including pharmacological, viral, and optogenetic manipulations. Lamotrigine (LTG) is a Food and Drugs Administration (FDA)-approved Ih current potentiator that is used as anticonvulsant and a mood stabilizer for bipolar disorder. Chronic microinfusion of LTG into the VTA of susceptible animals produced a reversal of social avoidance behavior, as measured by time spent in the interaction zone with a novel social target, and anhedonia, as measured by sucrose preference . LTG infusion also increased Ih and potassium currents in test mice compared with vehicle-treated animals. However, as LTG has multiple known ion-channel targets, including sodium channels, we virally infected VTA DA neurons to overexpress HCN2 channels. HCN2 overexpression in VTA DA neurons of susceptible mice rescued social avoidance behaviors, sucrose preference deficits, behavioral despair in the forced swim test, and the corresponding increase in Ih and potassium currents . Although the alterations in Ih and potassium currents rescued susceptible behaviors, we performed additional experiments to further investigate the physiological resilient phenotype. To probe the hyperactivity of VTA DA neurons resulting from social defeat stress, we induced excessive activation of VTA DA neurons using optogenetics, light-activated channels that can temporally control the firing activity of neurons [147, 148]. We infected VTA DA neurons with light-activated channelrhodopsin-2 and repeatedly increased the firing rate of VTA DA neurons in susceptible animals. Chronic, excessive hyperactivity of VTA DA neurons rescued social avoidance behavior, sucrose preference, behavioral despair in the forced swim test, and induced control firing activity and excitability with increased potassium currents . Previous investigations into the functional and behavioral heterogeneity of VTA DA neurons attributed this pathological hyperactivity to VTA DA neurons projecting to the NAc (VTA–NAc pathway) but not those projecting to the mPFC in susceptible animals, suggesting that the VTA–NAc pathway mediates hyperactivity to encode susceptible behaviors . This finding further supported the involvement of Ih currents in VTA–NAc DA-mediated susceptibility, as the VTA-mPFC has a smaller Ih. Further confirming the preferential role of VTA–NAc Ih currents, excessive optogenetic stimulation of the VTA–mPFC and VTA–NAc DA pathways produced induction of Ih and potassium currents specifically in the VTA–NAc DA pathway . These results support the involvement of HCN channels in depression behaviors, and provide multiple therapeutic strategies for the reversal of depression or induction of resilience. Collectively, these results support published literature finding that Ih currents are involved in reward and learning, and demonstrate that HCN channel pathology may mediate depression behaviors. Interestingly, HCN channels have been studied in the context of the rewarding aspects of ethanol. The increase in firing rate of VTA DA neurons from ethanol is blocked with the Ih inhibitor ZD7288, and chronic ethanol administration decreases the density of HCN channels in VTA DA neurons . Stress may regulate Ih through a noradrenergic mechanism, as demonstrated by the decrease in Ih current amplitude when α2-adrenoreceptors are activated within the VTA . The effects of this noradrenergic mechanism may be similar to those observed in PFC following cAMP inhibition . Furthermore, increased VTA DA neuronal firing following corticotropin-releasing factor application is blocked by Ih current inhibition . Since stress promotes the release of corticotropin-releasing factor, activating the glucocorticoid stress hormone pathway in the hypothalamic–pituitary–adrenal axis, and subsequently the mesolimbic DA system [150, 151], the relationship between depression and HCN channels in the VTA requires additional investigation. In order to maintain excitability at a basal level, neurons may undergo intrinsic changes to adjust or return cell activity to a target range for nonpathological firing, a concept introduced as neuronal plasticity or homeostatic plasticity [152, 153]. In the social-defeat model, resilient mice have a large Ih current and increased potassium currents in both peak and sustained components, suggesting the involvement of multiple potassium channels in regulating the excitability of VTA DA neurons for the resilience phenotype . The induction of a large Ih current in susceptible mice by LTG appears to indirectly produce increased potassium currents in VTA DA neurons that bring neuronal firing back to control levels, suggesting a homeostatic plasticity mechanism and providing another therapeutic target to promote resilience or reverse susceptibility to depression [43, 154]. Previously published microarray data found an upregulation of KCNQ3 (kv7.3) channels in resilient animals, providing a more specific potassium channel target for antidepressant treatment [40, 46]. KCNQ3 channels are slow voltage-gated potassium channels, and all KCNQ channels are inhibitory potassium currents that are important for maintaining neuronal resting membrane potential, neuronal excitability, and action potential activity in concert with HCN channels [155, 156, 157, 158, 159]. KCNQ channels mediate “M” currents, since they can be closed by muscarinic receptor stimulation . From a therapeutic potential, KCNQ channels have been studied in anxiety and bipolar disorders as a secondary consequence of HCN channel neuronal excitability changes [161, 162, 163, 164]. Thus, we sought to elucidate the role of KCNQ3 in susceptibility and resilience to social-defeat stress. Overexpression of KCNQ3 channels in VTA, intra-VTA infusion of pharmacological KCNQ potassium openers flupirtine, retigabine, or BMS-204352, or intraperitoneal injection of retigabine normalized VTA neuronal activity and rescued social avoidance, anhedonia in the sucrose preference test, and behavioral despair in the forced swim test . Notably, targeting KCNQ channels with retigabine (ezogabine) , an FDA-approved potassium channel opener for treatment of epilepsy, has antidepressant efficacy in depressed patients . Based on these observations, multiple avenues can be exploited to target homeostatic plasticity within the VTA and induce antidepressant therapeutic effects: normalizing the pathological increase of Ih currents or promoting KCNQ channel function. This interaction of KCNQ channel and HCN channel activity has also been observed in the PFC and may influence stress-induced impairments in working memory [110, 115, 156]. cAMP activity increases Ih currents in PFC and cAMP–PKA signaling increases the probability of KCNQ channel current [120, 155]. HCN and KCNQ channels may work in concert to reduce firing and stress-induced dysfunctional DA signaling within the PFC, particularly through D1Rs . Since HCN and KCNQ channels also mediate the excitability of CA1 hippocampal pyramidal cells, KCNQ mechanisms may be involved in the processing of stress within the hippocampus . Altogether, these results suggest another ion channel therapeutic target for antidepressant treatment. As classical antidepressants require several weeks to produce therapeutic benefit, a major priority of the field is the identification of antidepressants that work rapidly . Ketamine, an anesthetic that is a noncompetitive ionotropic glutamatergic NMDA receptor antagonist, produces long-lasting and rapid antidepressant responses in some patients with treatment-resistant MDD when administered at even a single subanesthetic dose (0.5–10 mg/kg) . While the bulk of current research aims to define the glutamatergic locus of antidepressant action, interestingly the synaptic and behavioral effects of ketamine also involve HCN channels [169, 170]. In particular, ketamine interacts with HCN1 homodimers and heterodimers (HCN1–HCN2 configurations) exclusively to inhibit Ih currents . In animals, the antidepressant effects of global HCN ablation appear to be linked to the effects of low-dose ketamine . Ketamine induces membrane hyperpolarization, inhibits Ih currents, and reduces resonant properties of cortical pyramidal neurons in wild-type mice as measured ex vivo. HCN1 ablation also produces aberrant cortical synchrony and rhythmicity . These effects are not observed in HCN1 knockout mice ex vivo, suggesting ketamine targets and inhibits HCN1 channels. When animals lacking HCN channels are administered ketamine, the behavioral actions of ketamine appear to be occluded; anhedonic measures of behavior, such as sucrose preference, can no longer be rescued by ketamine [169, 170]. Ketamine was also ineffective in rescuing depression-like behaviors in HCN knockout mice tested for novelty suppressed feeding, a measure of stress-induced anxiety and chronic antidepressant responsiveness. Interestingly, ketamine also increased behavioral despair in the forced swim test in these animals. As mentioned earlier, HCN knockout normally produces a reduction in time spent immobile in the forced swim test in mice. Ketamine is thought to promote an NMDA-mediated increase of surface abundance of HCN1 channels and an increase in HCN channel activity via NMDA receptor activation-induced calcium influx [91, 101]. This provides credence that Ih is involved in mediating an excitation–inhibition balance that likely modulates depression-related behaviors. Antidepressant actions of ketamine involving hippocampal HCN channels have also been identified. Electrophysiological investigations of the role of ketamine in the expression of HCN channels have revealed a mainly presynaptic mechanism of HCN in ketamine’s actions . To distinguish between presynaptic and postsynaptic HCN action, HCN channel blockers (ZD7288, zatebradine) that block postsynaptic HCN channels and isolate presynaptic excitatory transmission are applied to the CA1 hippocampal preparation. In this configuration, stimulation of Schaffer collateral pathways and measurement of field excitatory postsynaptic potentials indicates that ketamine still enhances presynaptic excitatory transmission. HCN channels appear to be critical to ketamine’s actions in the hippocampus antidepressant action of ketamine and hippocampal synaptic markers are eliminated by inhibition or deletion of the HCN1 channel. Considering the findings of Ih current pathology in mesolimbic DA circuitry following social defeat stress, as well as the observed antidepressant effect of HCN knockout models, we can hypothesize that ketamine may act to block HCN channels and rescue the behavioral deficits linked to increased Ih current in susceptible animals. Thus, ketamine may recapitulate the antidepressant effects of attenuating Ih current globally in the brain, the hippocampus, the PFC, or the VTA. Use of the antidepressants fluoxetine or imipramine also reverses the susceptible phenotype, but only following chronic administration [39, 57, 171, 172, 173]. Chronic antidepressant treatment with fluoxetine reverses the observed pathological increases in Ih currents within the VTA of susceptible mice, mirroring the behavioral rescue of susceptible animals with Ih current blockers ZD7288 or DK-AH269 . Conventional antidepressants may work to indirectly influence HCN channel activity through signaling cascades involving cAMP or cAMP-dependent kinase mediated phosphorylation of the HCN channel subunits [68, 119]. 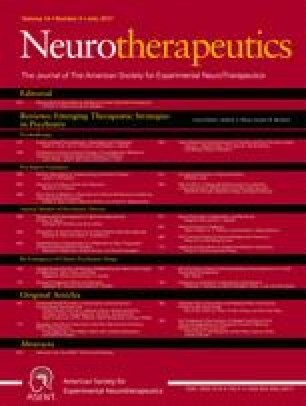 Another target for therapeutic action could be the signaling protein brain-derived neurotrophic factor (BDNF), as both antidepressants and ketamine activate BDNF signaling via cAMP response element-binding protein transcriptional regulation throughout mesocorticolimbic brain areas (including hippocampus and NAc) [12, 23, 39, 40, 174, 175, 176, 177, 178, 179, 180]. Notably, when HCN1 channel function is ablated with HCN1 shRNA, producing antidepressant and anxiolytic behaviors, BDNF is also increased . These BDNF effects may work in concert with glutamate signaling activation, another process implicated in HCN function [91, 101, 181]. While low-dose ketamine has yielded promising clinical results, a number of issues require further examination. Beyond the risks for neurotoxicity, addiction and abuse, ketamine produces dissociative and psychotomimetic side effects and its antidepressant efficacy appears to be unsustainable with serial infusions [182, 183]. Thus, targeting HCN channels may be a promising alternative therapy to ketamine. Neuropsychiatric diseases, particularly depression, are characterized by a change in the intrinsic membrane excitability of neurons, a phenomenon that affects the responsiveness of neuronal populations in various brain areas to stimuli. HCN channels exert an important role in neuronal excitability, mediating rhythmic activity, resting membrane potential, neurotransmission, and synaptic plasticity within multiple reward-related brain regions. There are multiple findings attributing an important role to HCN channels in expression of depression-like behaviors. This suggests that pharmacological regulation of Ih currents offers a novel therapeutic approach for depression treatment (see Table 1 for clinically relevant therapeutics). HCN channels have been implicated in several human diseases, namely cardiac-associated diseases and neurological diseases involving epilepsy and neuropathic pain [184, 185, 186, 187, 188, 189]. HCN channel therapeutics are most well known to control cardiac activity. Blockers of HCN channel activity, such as DK-AH269, ZD-7288, zatebradine, and ivabradine, are efficacious in lowering heart rate in patients with cardiac diseases but produce side effects, including bradycardia (abnormally lowered heart rate) and phosphenes (transiently enhanced visual brightness) [190, 191, 192]. While all 4 blockers have been used for preclinical investigations [193, 194, 195, 196], ivabradine is the only FDA-approved HCN-specific blocker . Ivabradine is a relatively well tolerated and commonly prescribed HCN blocker for cardiac disease that is unique in its use-dependency clinical property. As Ih current increases, ivabradine is able to better access the inner pore of the HCN channels to block activity . Ivabradine has shown efficacy in preclinical and clinical studies of neuropathic pain . Since ivabradine does not cross the blood–brain barrier, a brain-permeable derivative will be necessary for therapeutic action within the central nervous system . Regardless, DK-AH269, ZD-7288, zatebradine, and ivabradine are useful as HCN channel blockers and Ih current inhibitors for preclinical analysis of HCN in depression [193, 194, 195]. LTG and gabapentin are well-tolerated and FDA-approved anticonvulsant/epilepsy drugs that are known to potentiate Ih currents [184, 196, 201]. LTG and gabapentin may be useful for neuropathic pain , particularly gabapentin [203, 204, 205]. Gabapentin has also been evaluated in patients with bipolar disease. There are relatively mixed results for use of gabapentin as monotherapy to stabilize moods in bipolar disease, but it appears to be relatively well tolerated as an adjunctive therapy [206, 207, 208, 209, 210, 211, 212, 213]. The efficacy of gabapentin in unipolar depression is also unclear [214, 215]. However, gabapentin was successful in treating anxiety, nightmares, and insomnia in patients with post-traumatic stress disorder, including those who also suffered from MDD [216, 217]. Gabapentin may be particularly useful for insomnia, as alleviation of sleep deprivation was also observed in alcohol-dependent individuals [218, 219]. For treatment of anxiety disorders, specifically social phobia and panic disorder, gabapentin may serve well as an adjunctive medication [220, 221, 222]. In conjunction with fluoxetine, gabapentin was effective in treating obsessive compulsive disorder, although the psychiatric symptoms rebounded after discontinuation of gabapentin [223, 224]. LTG is an approved medication for bipolar disorder, producing relief of depression symptoms and a decrease in mania [225, 226, 227, 228, 229, 230, 231, 232, 233, 234, 235, 236]. LTG is often administered in conjunction with lithium to stabilize mood [237, 238]. In particular, chronic LTG administration decreased impulsivity, mood instability, and suicidal behaviors in patients with bipolar disease [239, 240, 241, 242, 243]. As a mood stabilizer, LTG has also been studied in patients with schizophrenia, where it had strongest efficacy as an adjunctive therapy [244, 245, 246, 247, 248, 249]. Notably, LTG has been used off label to combat treatment-resistant depression, suggesting efficacy in this patient population [214, 215, 250, 251, 252], although its use as an antidepressant augmentation agent requires further analysis due to mixed success [253, 254]. Investigations of the effectiveness of LTG in other mood disorders, such as post-traumatic stress disorder, suggest that it can be useful to reduce symptoms including avoidance, numbing, and re-experiences of flashbacks or nightmares . However, additional studies of LTG treatment in OCD are necessary to clarify its therapeutic value [256, 257]. LTG may also be useful for combating comorbidities of substance abuse with bipolar disorder for cocaine addiction [258, 259, 260], or cocaine dependence only . LTG has shown relative efficacy in patients with alcohol dependence . When LTG was administered in conjunction with clozapine as an antipsychotic medication for patients with schizophrenia and alcohol dependence, patients displayed a decrease in alcohol seeking and consumption . Patients with comorbidities of bipolar disorder and alcohol dependence show improvements in depression, mania, alcohol craving, and alcohol consumption . Gabapentin has also demonstrated efficacy in treating alcohol dependence . The use of LTG and gabapentin to combat alcohol abuse is interesting; although the mechanism of ethanol action is not specific, acute ethanol influences HCN channels by increasing Ih currents [75, 266], and repeated ethanol and withdrawal from ethanol results in a decrease in Ih currents within the VTA in DA neurons [75, 267]. Ethanol also disrupts PFC function and affects Ih current within the hippocampus, although this phenomenon is far less studied in these 2 brain regions [268, 269]. These findings suggest that possible pathology of the reward circuitry in response to ethanol use can be remedied through potentiation of Ih currents. Thus, while LTG is useful for treatment of bipolar disorder, the benefit of gabapentin seems limited to anxiety and alcohol dependence . Further research is required to conclusively define a role for gabapentin and LTG in other psychiatric disorders. From a practical standpoint, it is important to develop more specific HCN channel drugs. HCN channel agonists, LTG and gabapentin, have multiple molecular mechanisms of action besides potentiating Ih currents, including regulation of voltage-gated sodium and calcium channels [82, 196, 205, 236]. Ih current-specific action of DK-AH269 and ZD-7288 have been elucidated particularly well in pyramidal neurons of the CA1 hippocampal region to probe the modulation of excitatory postsynaptic potentials; there is a lack of consensus regarding actions of HCN channels in hippocampal mossy fiber plasticity [271, 272, 273, 274]. These findings suggest that HCN blockers DK-AH269 and ZD-7288 have off-target effects, particularly through putative glutamate-receptor mediated signaling [272, 274]. Guanfacine is another indirect modulator of HCN signaling that works through inhibition of cAMP–HCN signaling via activation of α2A-adrenoreceptors. Guanfacine has been investigated for efficacy in schizophrenia, and is currently prescribed for attention-deficit/hyperactivity disorder [275, 276] to improve working memory, impulse control, stress control, and emotional regulation [277, 278, 279]. Off-target effects of these drugs highlight the need to develop selective compounds. A caveat of HCN channel modulation in the brain as a treatment for psychiatric disorders, in particular use of HCN channel blockers, is the essential role of Ih currents in cardiac pacemaker activity. Developing drugs to target specific HCN channel isoforms, such as HCN1 versus HCN4 specific antagonists, could alleviate negative side effects. However, since TRIP8b is a critical protein for HCN activity within the brain and is not expressed in the heart, developing TRIP8b-specific drugs could surpass these current therapeutic limitations . TRIP8b knockout is antidepressant in mice . Thus, antagonizing TRIP8b binding to HCN channels, particularly at the C-terminal tail, can impair trafficking of the HCN channel and reduce Ih current, producing an antidepressant effect [94, 281, 282, 283, 284]. A fluorescence polarization screen for small molecules disrupting TRIP8b and HCN interactions demonstrated the feasibility of identifying compounds that modulate HCN channel activity and neuronal excitability through TRIP8b . Currently, there are limited therapeutic options designed for Ih current modulation in the brain. Increased focus on developing novel therapeutics to target HCN channels may produce benefit for patients with depression who are underserved by the current standard of care, especially since preclinical research has highlighted the antidepressant promise of reducing HCN channel activity. This work was supported by grants from the National Institute of Mental Health (M.H.H., R21MH112081; S.M.K., F31MH108326), and the Brain and Behavior Research Foundation (M.H.H., NARSAD). We thank Dr. Madeline L. Pfau for critical reading of the review. Food and Drug Administration FDA approves Corlanor to treat heart failure. Apr 15, 2015 [Available from: http://www.fda.gov/NewsEvents/Newsroom/PressAnnouncements/ucm442978.htm].